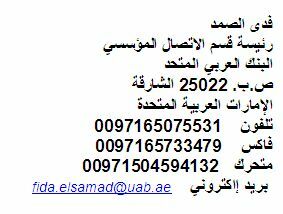 United Arab Bank P.J.S.C. (“UAB” or “the Bank”) announces its financial results for the nine months ended 30 September 2011. In spite of continuing challenging market conditions, UAB recorded a net profit of AED 225 million for the nine months ended 30 September 2011. In the nine months ended 30 September 2011 loans and advances increased by 38% to AED 7.6 billion from AED 5.5 billion at 31 December 2010. Customer deposits grew to AED 6.7 billion in 2011, compared with AED 4.9 billion as at 31 December 2010, an increase of 39% reflecting the continued trust placed in the Bank by loyal customers. Operating profit increased by 20% to AED 281 million in 2011 from AED 234 million for the first nine months of 2010. Total operating income for the nine month period reached AED 416 million, an increase of 16% compared with the same period in 2010 due to an increase in net interest income of 21% to AED 305 million and growth in non-interest income of 5% to AED 111 million attributable to the growing Retail and Islamic businesses. The Bank has taken AED 57 million in provisions during the first nine months of 2011, driven predominantly by the requirements of the Central Bank’s provisioning guidelines, and remains committed to a prudent policy of provisioning and a proactive approach to risk management. The Bank has continued its branch expansion programme in 2011 opening new outlets in Sharjah, Fujairah, Ras al Khaimah and Abu Dhabi. 4 new branches are scheduled to open within the next six months, whilst existing branches are undergoing renovation. The Bank is committed to delivering efficient customer service and continues to invest in branch facilities, improved systems and development of staff professional skills. The CEO acknowledged the invaluable contribution of the strategic alliance with The Commercial Bank of Qatar (“CBQ”). CBQ acquired 40% of UAB in 2007 after concluding a similar alliance with National Bank of Oman two years previously. The alliance of the three banks provides synergies across a range of business and support areas, which facilitates continued commercial growth. The Bank is rated by Moody’s as Baa1 with a stable outlook. 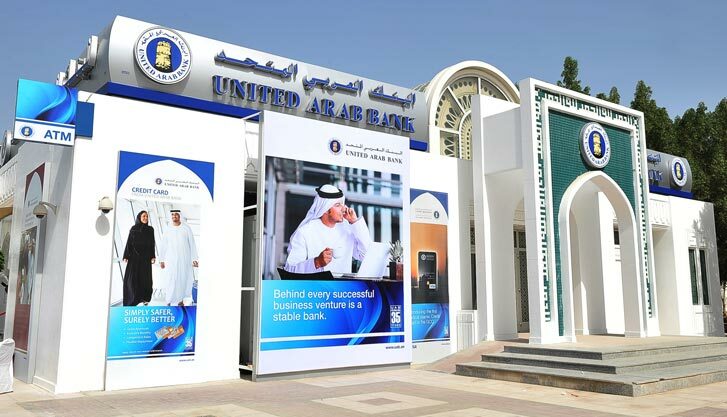 Incorporated in 1975 with its headquarters in Sharjah, United Arab Bank (UAB) offers a range of financial services in both corporate and retail banking through fourteen offices and branches throughout the UAE. Acknowledged as a leading solutions provider to the growing commercial and industrial base across the seven emirates, the Bank has gained strong recognition in the corporate sector for the provision of structured finance solutions for complex banking transactions. With the launch of its Wealth Management and Islamic Banking Services, the Bank has grown its retail customer base, aiming to expand further. Formerly established as a joint venture between UAE investors and Société Générale (SG), UAB became part of a GCC regional banking alliance in December 2007 on the acquisition of 40% interest in UAB by The Commercial Bank of Qatar (Cb), Qatar’s largest private sector bank. With The Commercial Bank of Qatar concluding a similar alliance with National Bank of Oman (NBO) two years previously, all three banks are more strongly positioned for future growth.